Atlas is a unique, modular software suite to manage the entire datapath from image to print, along with sub-systems and peripherals necessary for maximum print performance. We are experienced in handling high data rates alongside the RIP’s, peripheral devices and integration requirements for your printing system. Atlas User Interface is an easy-to-use graphical interface. Its modular design provides highly flexible control, and its comprehensive toolset offers custom configuration for your workflow. Atlas User Interface can also be easily integrated with 3rd party user interfaces to create a seamless visual interface and all the functionality of the Atlas suite. Atlas Server offers a powerful print server technology for managing the entire printing process and sub-system management, able to control a large digital printing machine or as a component in a system. 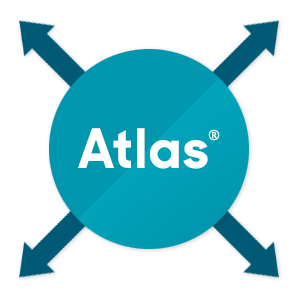 Atlas Server uses state-of-the-art RESTful communication methods across Ethernet protocol to interface with the Atlas User Interface and GIS sub-components, as well as 3rd Party applications. We also have a range of USB products using GIS’s industry standard PrintServer offering a TCP/IP command interface. The tools convert images to swathes, and provide the drivers to communicate with the printhead drive electronics, manage print queues, fire pulse and encoder management, as well as ink systems, transport elements and more. Software Development Kits (SDKs) are available to create new control components and drivers for any sub-systems as well as to customise existing elements. Our knowledge of digital printing is vast and covers all aspects of the printing process and equipment.